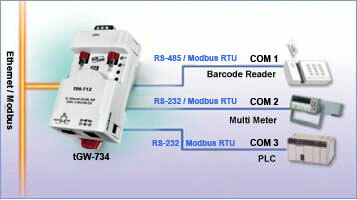 The tGW-700 series are Modbus TCP to RTU/ASCII Device Servers that enable a Modbus/TCP host to communicate with serial Modbus RTU/ASCII devices through Ethernet networks. 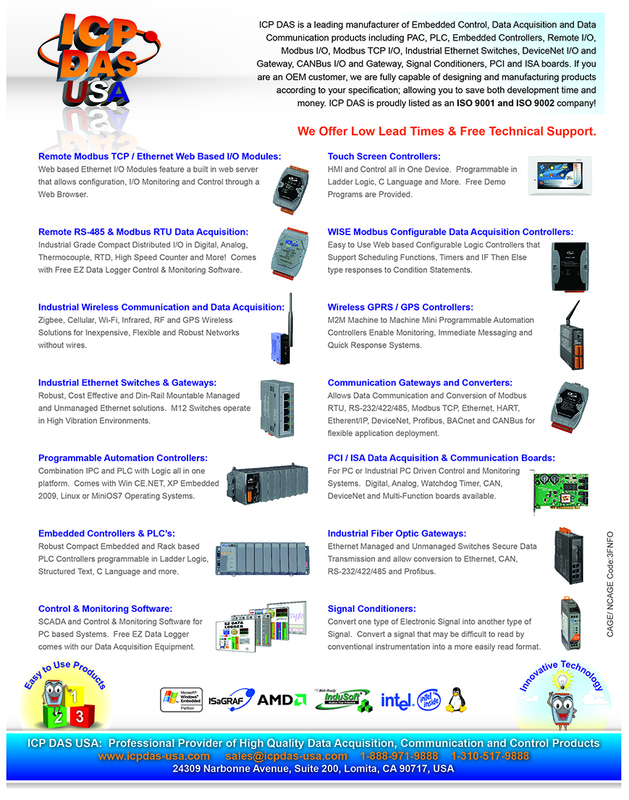 They eliminates the cable length limitation of legacy serial communication devices. The tGW-7000 serial device servers can be used to create a pair-connection application (as well as a serial-bridge or serial-tunnel application), and can then route data over TCP/IP between two serial Modbus RTU/ASCII devices; which is useful when connecting to mainframe computers, servers or other serial devices that use Modbus RTU/ASCII protocols and do not themselves have Ethernet capability.